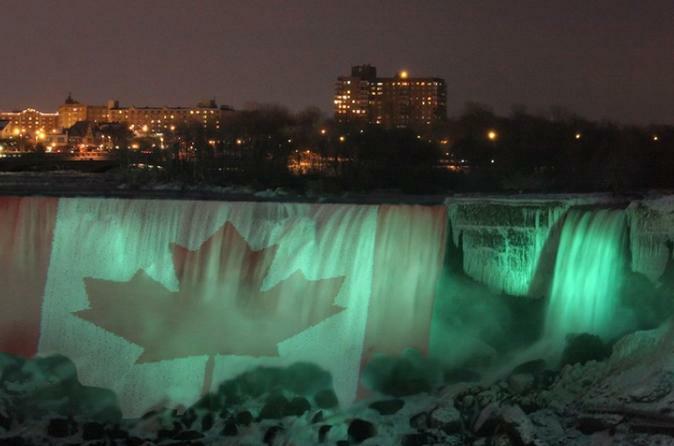 Experience Niagara Falls at night on this evening tour from Toronto. This tour includes complimentary pickup from all Toronto and airport area hotels by a professional driver who will guide you fully around Niagara Falls and Niagara-on-the-Lake. Take a Hornblower cruise (seasonal), enjoy a wine tasting, have dinner overlooking the falls and watch a spectacular fireworks display! Get free door-to-door pickup from all downtown Toronto hotels and airport area, Mississauga and Brampton hotels. Once in Niagara Falls, enjoy a ride on the Hornblower cruise (seasonal). You’re in for the thrill of a lifetime on this ride!